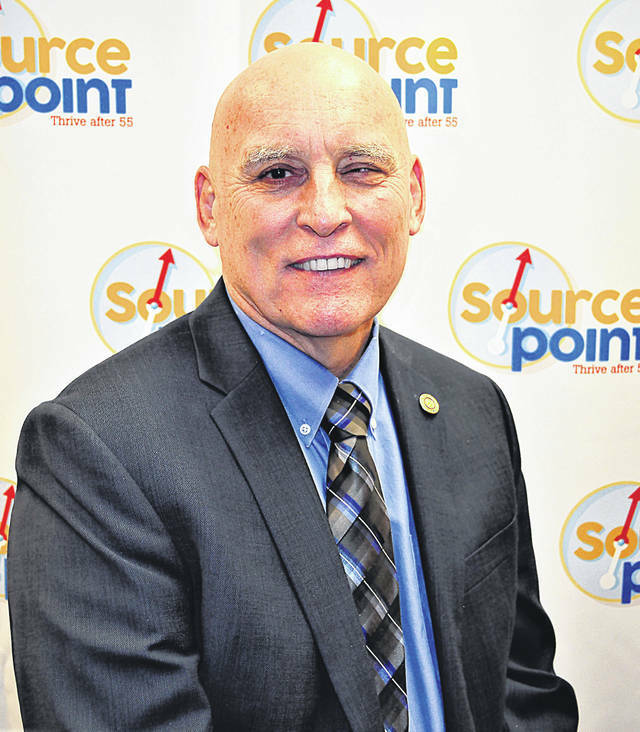 DELAWARE—Today (Jan. 11), Robert Horrocks announced he will retire from SourcePoint this year after leading the nonprofit organization as executive director for nearly 27 years. His retirement announcement occurred during a professional development day event attended by SourcePoint staff and board members. Horrocks is the local organization’s founding executive director. Throughout his tenure, the nonprofit grew from a one-person, 300-square-foot office to its current staff of nearly 100 employees and 900 volunteers in a 60,000-square-foot center of operations. From that Cheshire Road location, as well as a south office at Polaris, staff and volunteers provide a range of in-home and community services to thousands of Delaware County residents ages 55 and older each year. With Horrocks’ guidance, the nonprofit’s creation in 1992 led to the establishment of the county’s first coordinated system of care, as well as the elimination of waiting lists for in-home services. Among many notable accomplishments is the substantial growth and improvement in quality of the Meals on Wheels program and the development of a leading health and wellness center, caregiver support program, insurance education services, and a considerable volunteer base. Horrocks said keeping his promise to the community to deliver quality home-care services with no waiting list in an efficient manner is his most rewarding achievement. SourcePoint’s board president, Roger Lossing, said the board has been engaged in succession-planning discussions over the past year and is prepared for the transition in leadership. The board plans to conduct an extensive internal and external search for its next chief executive, which will begin in March. Horrocks will remain at SourcePoint throughout this process to ensure a smooth and successful transition for his successor.